Signs say that it is about time to catch some prespawn bass. Warm weather, longer days and income tax refunds are good clues. Nothing gets a fisherman’s blood running like the first fishing trip of the new year. Pull the cover off the boat. Load up all your fishing gear. Wait a minute. Go buy a new worm rod. The neighbor’s dog chewed the handle off after one of your kids left it on the back deck. Put a charge on the battery. Hitch it up and head to the lake. You won’t have any problems on the lake because you winterized your boat. Where are the bass? What are they doing? This is a transition time from one location to another. They have been holding in deeper water during the cold weather. Now the water temp rises a few degrees and the bass begin to sense something has changed. It’s time to make babies! The males will throw caution out the window and go make a bed for the female. Hmmm sounds kinda familiar. They will move to points between the deep water and shallow spawning areas. They will always move along familiar routes. These prespawn bass will stage and feed along creek channels and deep points off shallow flats, always within reach of deep water. If you know where bass have been creating beds in shallow water along banks, then look for bass to travel and stage in areas between the beds and deep water. Fish on deeper edges of flats where the edges fall off. Fish around structure in medium depth water. The bass will be staging in these areas until the water warms up to somewhere close to 60 or 65 degrees. A map of the lake showing elevations and points would be ideal. Most state parks have maps that can be downloaded from their website. What Are The Bass Eating? What baitfish are the prespawn bass eating during this time? 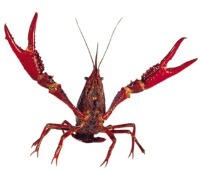 Young crawfish are starting to appear along with small shad and bream. 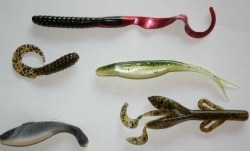 Soft plastic craws, worms and lizards in a brown/gray or red/gray color are hard for these prespawn bass to resist. Remember that these bass are feeding to get ready to build beds and spawn. Spinnerbaits, crankbaits and jig & pig along creek beds and points work well also. A pork trailer, with the right movement, resembles a crawfish with claws up crawling along the bottom. Just coming off the winter staging areas, bass are still a bit sluggish. Slow movements of the lure, just as in cold weather fishing, is essential. Patience is the key as always. Watch for line movement and any small vibrations from the rod to your hand as signs the bass has taken the lure. When you find a location where the bass are staging, there will usually be many holding in that one place. If you catch one then you will probably catch more. Find the right depth and the right lure and you should have some fun for a while. Sometimes in warmer water the prespawn bass will chase shad balls to the surface. In this case a lipless crankbait would be deadly if you pitch it into the feeding frenzy and let it fall like an injured shad. All bass do not move from deep to shallow water at the same time. Some may be more active than others. 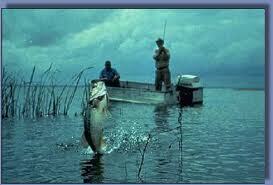 Be on the look out for bass moving along their established routes and closer to the spawning shallows. Another thing to remember. If a cold front moves in, they will most likely move back into deep water and shut down the feeding. Fishing prespawn bass has a lot to do with the weather. Try again on a warmer day.